ART ROCKS CLUB HOUSE FOUNDATION celebrated the building of the new Benioff Children's Hospital by having our talented young artist from MALCOLM X ACADEMY & CHARLES DREW ACADEMY paint over 90 ceramic tiles that were then installed in the UCSF Benioff Children's Hospital in Mission Bay. The 90 tiles fit together creating an amazing image of the South San Francisco landscape - Rock On ! Artist Brian Moore offered SUMMER ART CLASS to three exceptional little budding artists. Our kids visited different Shipyard Artist Studio's to create their own artistic master pieces. All our Summer Classes were offered for FREE for kids and parents. At The Art Rocks Club House we know that parent involvement in the creative process and in life. Rock on ! ​Class were for five Saturday's, each student left with a new portfolio provided by ART ROCKS at the end of the sessions. Art Rocks Club House is offering this same class structure with partnering artists in 2018. 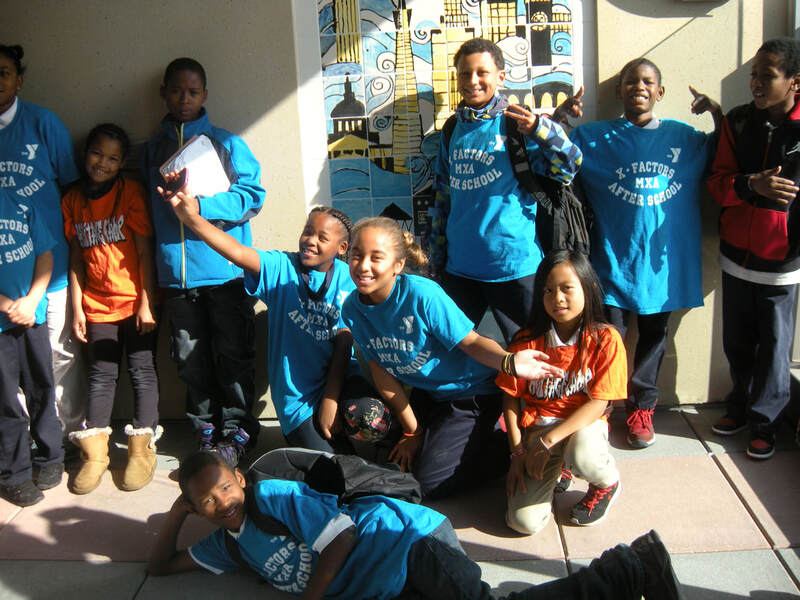 Shipyard Trust for the Arts offered five SUMMER ART SESSIONS for kids from Malcolm X Academy and Bret Harte. Each class was at the Shipyard and young students learned different art techniques in each session. Printmaking, still life sketching, oil and acrylic techniques. Everyone contributed a work of art to a 48" x 60" mural. Special thanks to STAR members Marti McGee and Karen Slater.